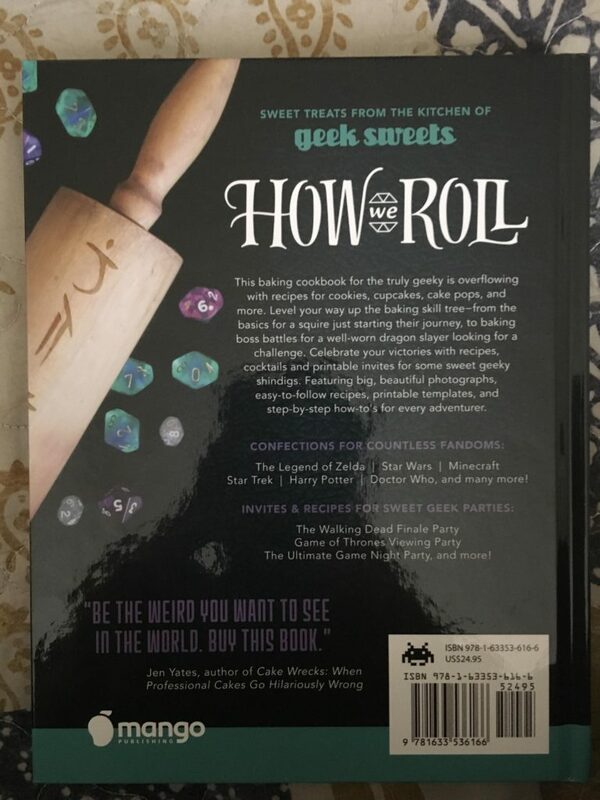 Geek Sweets by Jenny Burgesse Review - Get Your Geeky Bake On! Geek Sweets by Jenny Burgesse Review – Get Your Geeky Bake On! Author Jenny Burgesse does an amazing job combining geekiness with baking in her book Geek Sweets: An Adventurer’s Guide to the World of Baking Wizardry. Even if you haven’t baked before, you’ll probably end up trying after going through this cookbook. I was provided a copy of Geek Sweets for review. The opinions are my own. I have to begin by saying Geek Sweets: An Adventurer’s Guide to the World of Baking Wizardry is a visual masterpiece. Just going through this book and looking at all the delicious images is enough to get your mouth watering. You’ll imagine making the featured treats while hosting geek-themed parties in no time. The cookbook is easy to follow, largely due to how Jenny Burgesse has categorized all of the treats. The instructions make even the most complex looking baked goodies easy to create. Everything has been divided into five sections, with each consecutive section helping you grow as a baker and improving your skills. Essential Baking Spells is the first official section, presenting a basic guide to baking. This section talks about making standard frostings, cookies, icings, and more, to get you ready for your adventure ahead. All of the treats have been broken down into three sections. ‘Squire’ is the beginner baker section, with the ‘Dragon Slayer’ section being understandably more complex. The ‘side quests’ in Geek Sweets are themed party guides which you can use to impress your friends and family. The final section is ‘The Festival Reveler’ which has festive recipes. You’ll get to know the required supplies under ‘Quest Requirements.’ There are also a lot of images in the book to let readers know what their treats should (hopefully) look like once they’re at a recipe’s end. Of course, Burgesse tells readers that making mistakes is okay and polishing your baking skills requires time and patience. You’ll need printable templates for certain treats. Burgesse offers all of the templates on her website. Geek Sweets cover fandoms such as Game of Thrones, Harry Potter, Dr. Who, Dungeons & Dragons, The Legend of Zelda, The Walking Dead, and a whole lot more. So, you’re sure to find some treats that should go well with your specific geek-themed party. 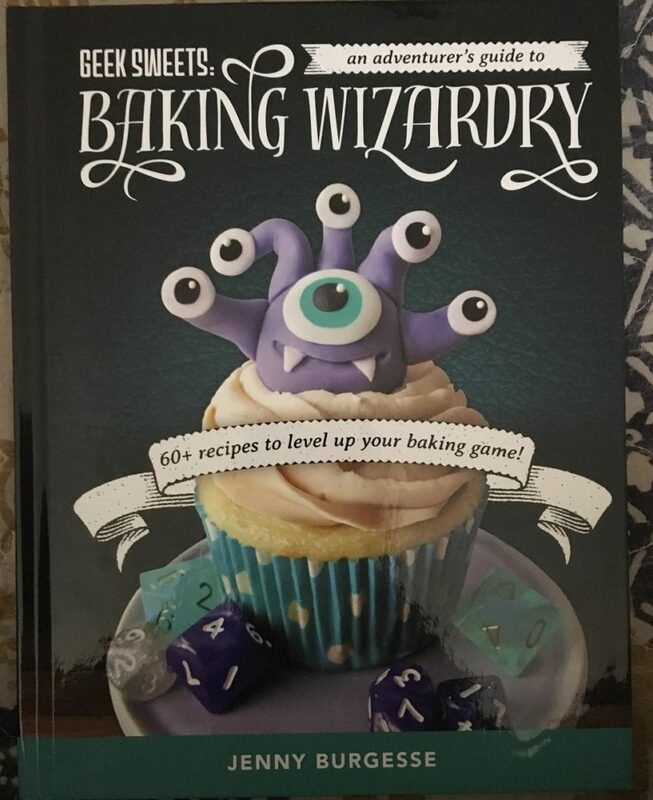 Published by Mango, Geek Sweets: An Adventurer’s Guide to the World of Baking Wizardry by Jenny Burgesse is currently available for purchase. You should definitely pick it up to try some geeky baking or for offering ideas to a friend who can bake better than you.